In the scope of the latest Smart Power solutions for Smart Grids, Efacec introduced the G Fault, part of the SmartGate product family. The G Fault is a standalone fault detector device, designed to be used in MV networks. It includes fault detection and measurement functions, isolated digital inputs, relay digital outputs and AC analog inputs. As a fault detector, G Fault includes phase and neutral overcurrent and current unbalance fault detection with capabilities for fault direction determination, and provides means for local and remote fault signaling and cancelation. As a measurement device, G Fault provides segregated phase current and voltage measurements together with measured or calculated neutral current. Additionally it provides calculated values for frequency, angles between voltages and currents, active power and reactive power by phase. In addition to the local I/O G Fault devices also include one RS 485 standard communication interface through which standard slave protocols can be deployed. By introducing G Fault units the user benefits from integrated fault detection and measurement within the distribution automation scheme, thereby allowing significant improvements on service indexes such as SAIDI, CAIDI, ASUI, ASAI or ENS. 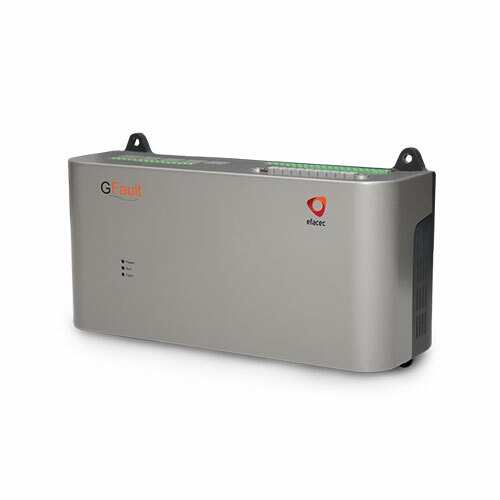 By deploying G Fault units together with the G Smart controller in true Smart Grid applications, the user benefits from additional plug-and-play integration together with innovative value-adding applications such as automated FDIR, meter management, condition monitoring, LV automation, etc.